Showing results by narrator "Kaili Vernoff"
Your best friend hates you. The guy you liked hates you. Your entire group of friends hates you. All because you did the right thing. Welcome to life for Mena, whose year is starting off in the worst way possible. She's been kicked out of her church group and no one will talk to her - not even her own parents. No one except for Casey, her supersmart lab partner in science class, who's pretty funny for the most brilliant guy on earth. Lily is having the most boring summer EVER. Her best friend has abandoned her for Young Executives Camp, and there is nothing to do but go on family outings with her parents. Then Lily meets the coolest girl, Karma, and her incredibly cool parents. And guess what? They're her relatives! 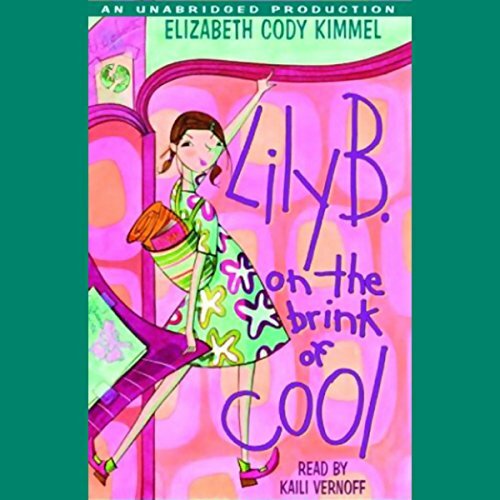 This summer is looking up, and Lily thinks she just might be on the brink of cool.